Angelo's Lighting specialise in contemporary and period lighting and we stock hundreds of Venetian wall lights in our North London showroom. 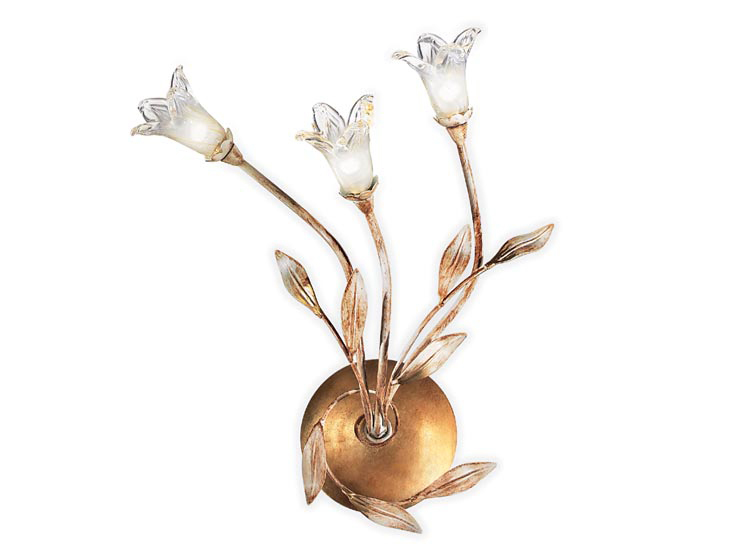 Our Venetian wall lights include beautiful floral and nature inspired designs with delicate metalwork in brass, wrought iron – and other materials – and include both uplighters and down lighters. 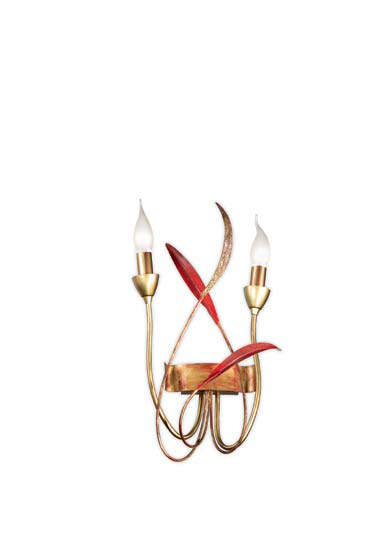 Venetian wall lights look elegant in any part of the home including the hallway, the stairway, living room, drawing room and bedroom. 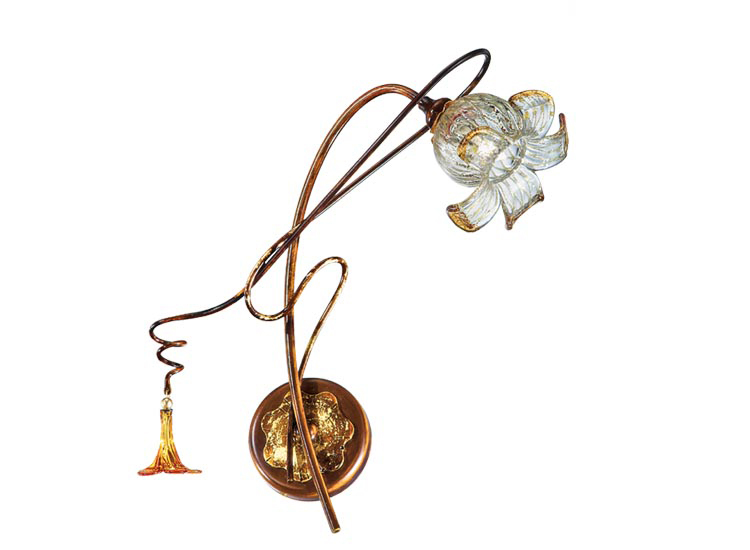 Venetian glass is hand blown by master craftsmen on the island of Murano and is expensive to buy. 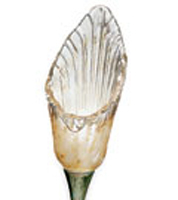 However, the word ‘Venetian’ not only refers to the type of glass used, it can also be used to describe its shape. 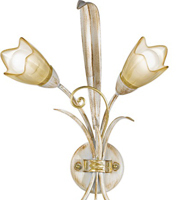 Here at Angelo’s, we sell high quality reproduction Venetian wall lights that, although not genuine, still give the same elegant and sophisticated look to your home. Angelo's has 25 years experience in the lighting industry. 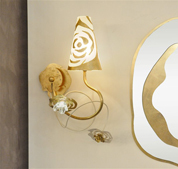 We sell a wide range of period lighting and Venetian wall lights from our North London showroom at competitive prices. Our collection of internal and external lighting for homes and businesses is vast and only a small sample of our Venetian wall lights are featured here, on these pages. If you want to see more of our contemporary and period lighting collection and our Venetian wall lights, visit our London showroom on the corner of Turnpike Lane and Wightman Road. 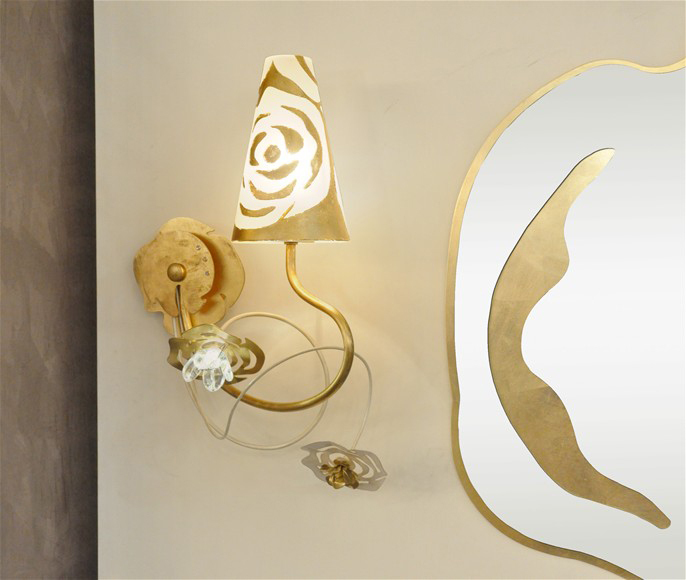 Venetian Wall Lighting - click here to view the location of our lighting showroom in north London. 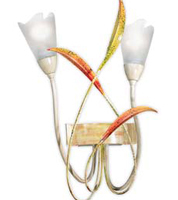 With delicate metal work and intricate designs, Venetian wall lights add a wonderful touch to your interior. Venetian wall lights are more subtle in style and design than Venetian ceiling lighting, but still produce a wonderful, dramatic effect. Their positioning means they give out a softer glow than the strong overhead glare produced by ceiling lighting. They also bounce light at different angles and cast decorative shadows across the wall, which only adds to the beauty. Different lighting designs will produce alternative effects and our experts at Angelo’s will be able to talk you through the options. 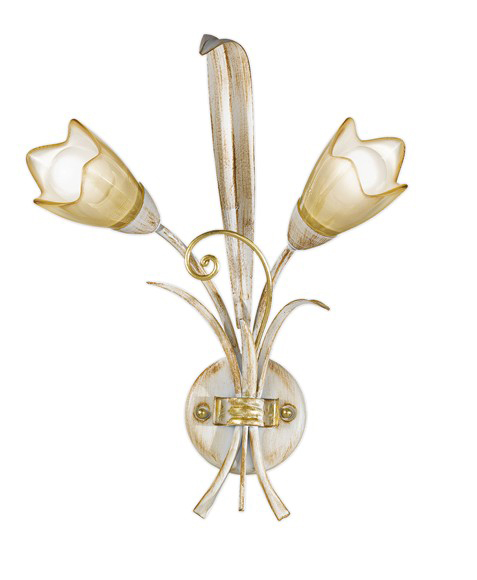 Venetian Wall Lighting: Why Choose this Style? 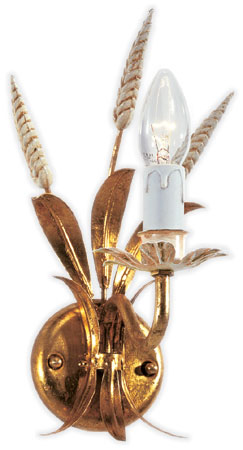 Venetian wall lighting provides a beautiful accent to a home or business. 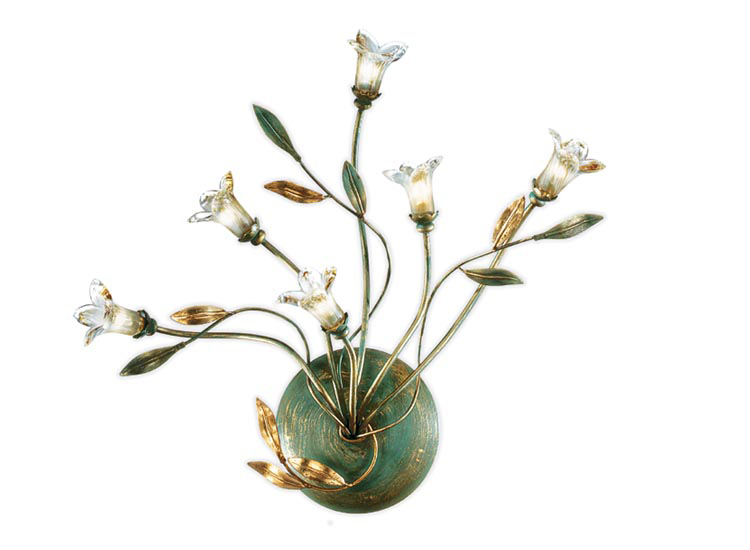 Venetian wall lighting designs can be incredibly detailed and ornate with floral shades at the end of graceful stems. 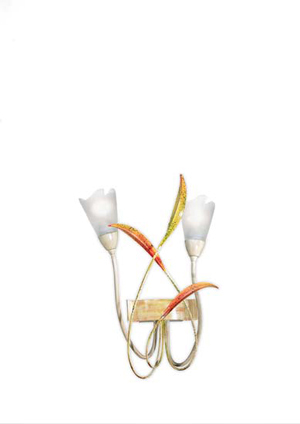 Some look like miniature chandeliers which serve to brighten up a dull hallway or enhance a living area. 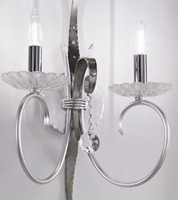 Venetian wall lights are also a practical alternative to ceiling lights as they are easy to reach and keep clean. 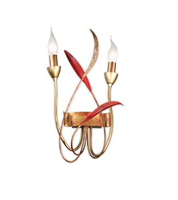 Venetian Wall Lighting: What Rooms Are They Suitable For? 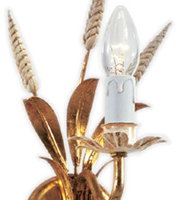 If you are thinking of installing Venetian wall lighting, think about the suitability of the room. If you have a large room, such as a large dining room or open plan sitting room area, intricate glass shades with low watt bulbs look stunning but may not cast enough light into this space. Instead, you may have to use a combination of wall lighting and overhead lighting or floor and side lamps. 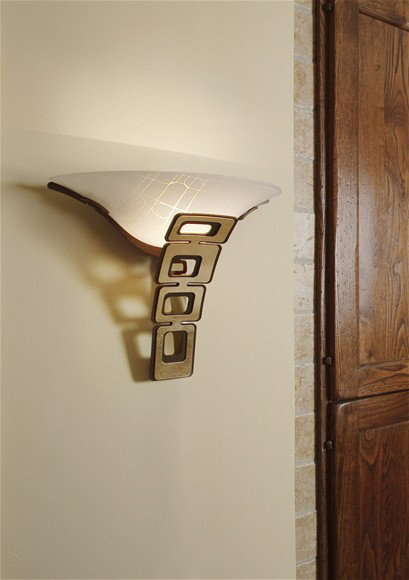 However, Venetian wall lights add beauty to hallways, corridors, landings, stairways, smaller rooms and intimate spaces. Venetian wall lights create a fantastic focal point to the hallway and look stunning in alcoves or on the walls beside the staircases. It produces a gentle, soft ambience and, if there is enough natural light filtering through, you won’t need the addition of overhead lighting in these areas. Instead a pair of Venetian wall lights should provide a sufficient glow in this area, depending on the size of the space. The living room is the area of the home that you and your family spend most of your waking time in. It is also showcases the rest of your home as it is the first room that guests see when they are invited in. 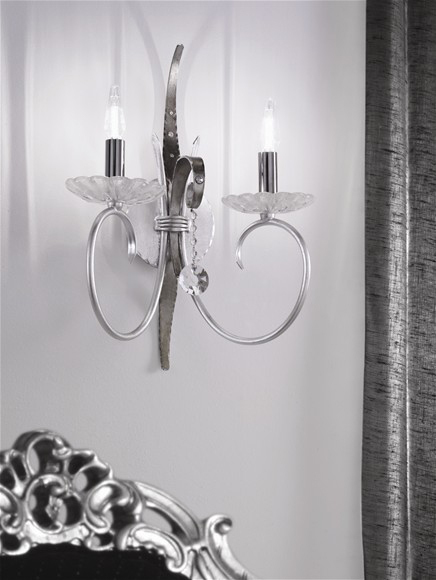 Venetian wall lights create atmosphere and provide a warm and cosy feel to this space. 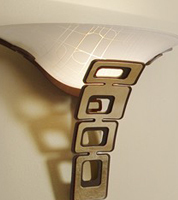 You can use it with a combination of wall, floor, or side lamps to add extra lighting as and when necessary. Whatever style and design you choose, wall lighting should reflect the decor of the home and work well with your furniture. Venetian wall lighting is a perfect choice for the bedroom because it emits a soft glow and creates a relaxing environment for this space. It provides a pretty, feminine look to this room and is gentle and calming. 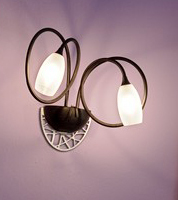 Venetian wall lights are not as harsh as overhead lighting and are a more intimate form of lighting for this space. 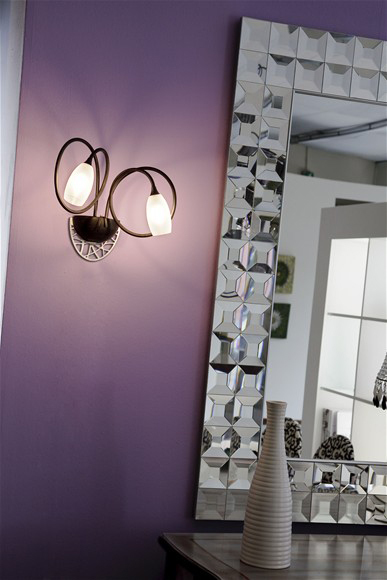 Angelo's Lighting has a fantastic range of internal and external lighting including period and contemporary lighting. To see more of our Venetian Wall lighting and period lighting range drop into our North London showroom or call us on 0208 4822688 and our staff will be happy to help. 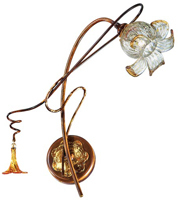 You can purchase any of our Venetian wall lights over the phone and if you have a specific product in mind, we can also order lighting in.